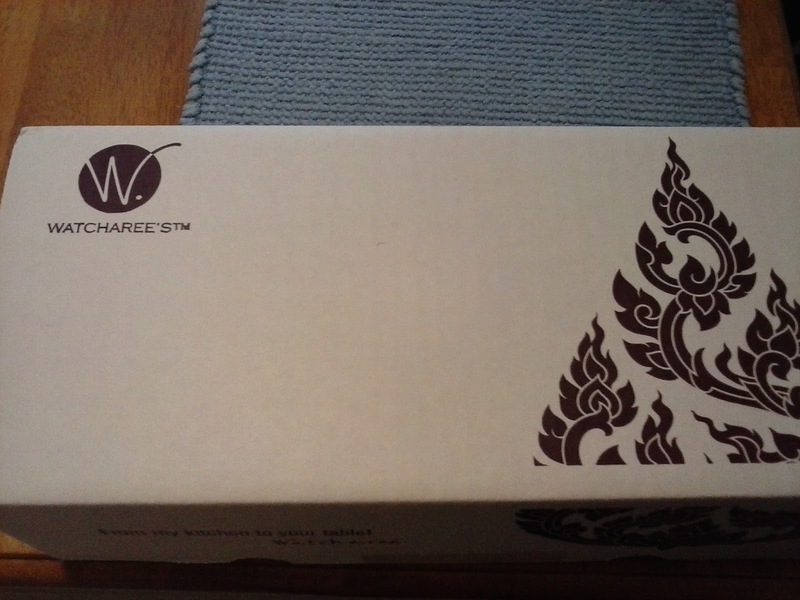 WATCHAREE'S has handcrafted exquisite Thai sauces from traditional ingredients to capture the subtle richness of authentic Thai flavors. I was sent a variety to review which are Pad Thai Sauce A stir fry noodle dish served in almost every Thai restaurant, pad Thai is not only a reliable favorite but a national dish. In the late 1930s, not long after the country was renamed Thailand from Siam, Prime Minister Plaek Phibunsongkhram promoted pad Thai as a new culinary creation that would help unify the country. Follow the traditional recipe by stir frying rice noodles, vegetables, eggs, tofu, and chicken or shrimp with WATCHAREE’S pad Thai sauce, or use the sauce on seafood, salads or barbecue. Our favorites are fried clams or lobster rolls topped with pad Thai sauce! Thai Green Curry Sauce is a Thai favorite served with meat or seafood and vegetables over jasmine rice or vermicelli rice noodles. While the essence of green curry derives from Thai basil and green chilies, Watcharee has created a blend of sour, sweet and salty flavors that are the hallmark of Thai cuisine. Follow the classic recipe and serve with pea eggplants, bamboo shoots, holy basil and kaffir lime leaves, or use your favorite vegetables, such as carrots, bell peppers or zucchini. Thai Peanut Sauce a grilled delight found across Southeast Asia, satay is a popular dish of skewered meat or fish served by the finest restaurants and street vendors alike. In Thailand, satay is made from meats and fish, and topped with a spicy peanut sauce that it uniquely Thai. Watcharee’s Thai peanut sauce is perfect for satay but also versatile enough as a spicy dipping sauce or the pièce de résistance for your favorite culinary creation. Thai Massaman Curry Sauce in listing the World’s 50 Best Foods, CNN Travel ranked Thai Massaman Curry as the “most delicious food ever created.” With origins in India, the massaman curry was created in Thailand over 200 years ago by court chefs to King Rama II (1809 - 1824). While the traditional recipe uses beef, you may substitute pork, chicken, turkey or even tofu. A Sauvignon Blanc or a Chenin Blanc is the perfect match for this sweet and spicy curry. 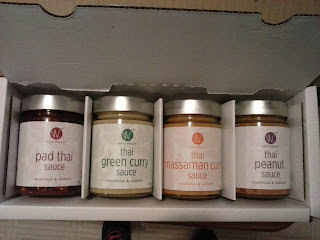 My Opinion: I enjoyed the Pad Thai Sauce and the Thai Peanut Sauce they were very flavorful and went perfectly with chicken. The curry sauces I am sending to the family for Christmas as they will make great gifts.